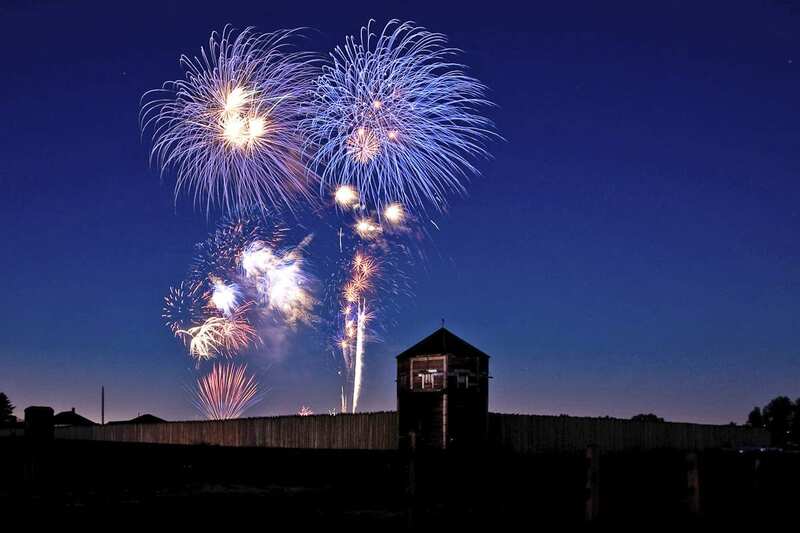 VANCOUVER — Over the course of July 4th, several roads in downtown Vancouver and exits on I-5 will be closed to move traffic efficiently in and out of Fort Vancouver National Historic Site before and after Vancouver’s Fireworks Spectacular presented by Columbia Credit Union. Parking in downtown Vancouver is free on the holiday. ADA parking is free onsite along 5th Street for those with a valid ADA permit. A reserved ADA viewing area will be available nearby. Public Parking is available at Providence Academy and the grass lot on 5th St between S Street and U Street for $10, cash only. No re-entry. C-Tran will run two free shuttles starting at 6pm, one from Fisher’s Landing Transit Center and the other from the 99th Street Transit Center, with return service after the firework show. No shuttle service provided from Vancouver Mall this year. C-TRAN will run Sunday/Holiday service all day on July 4th. See https://www.c-tran.com/fireworks for details. Closed starting at 9 p.m.